If you need to find a Lauderdale Lakes Motorcycle Accident Attorney with a stellar reputation, call the Law Offices of Robert E. Gluck, P.A. 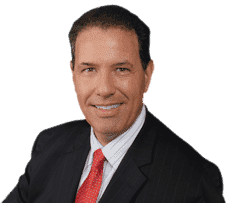 Robert Gluck is a reputable attorney who has been practicing law since 1989. He cares about his clients and always fights hard to make sure they receive the financial compensation they deserve for any injuries they have suffered. When you hire Robert Gluck as your Lauderdale Lakes Motorcycle Accident Attorney, he will launch a complete investigation into your accident. In order to build a strong case for you, he will need to make sure he can prove negligence existed at the time of your accident. Negligence exists when someone falls below the legal standard of care that can avoid injury to another person. Robert Gluck is highly experienced at navigating the legal process. He will handle all the details from start to finish and use his knowledge to make sure your case is handled correctly. As your Lauderdale Lakes Motorcycle Accident Attorney, he will gather all of the evidence he needs to prove negligence and make sure the at-fault party is held financially responsible. Your Lauderdale Lakes Motorcycle Accident Attorney will locate any witnesses to your accident and take their statement, take photographs of the accident scene, assess any property damage, secure video surveillance of the accident, and find any other evidence he believes will be vital in your case. He will fight hard for you and be the legal voice you need during this time in your life.